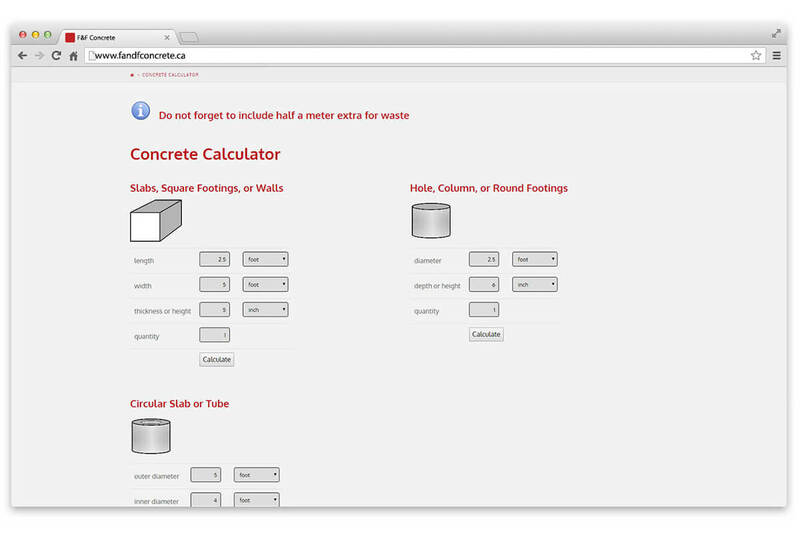 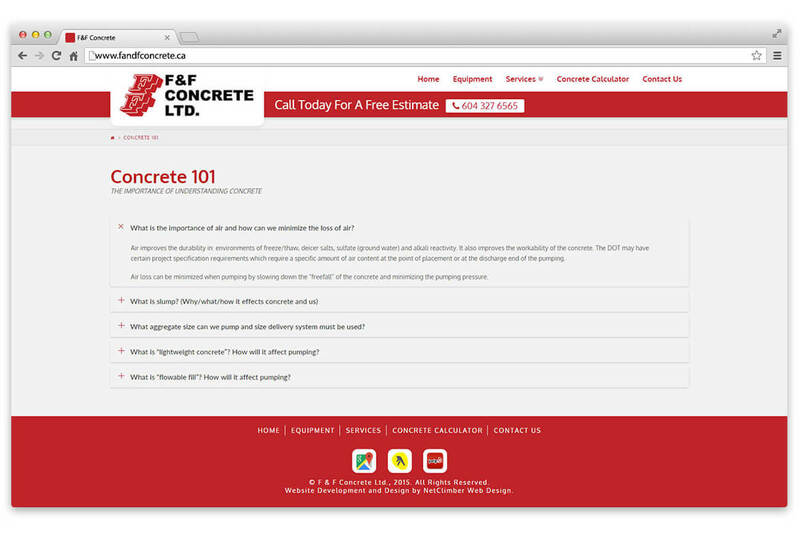 F&F Concrete | NetClimber Web Design Inc.
F&F Concrete came to NetClimber looking for a website redesign to help modernize their brand. 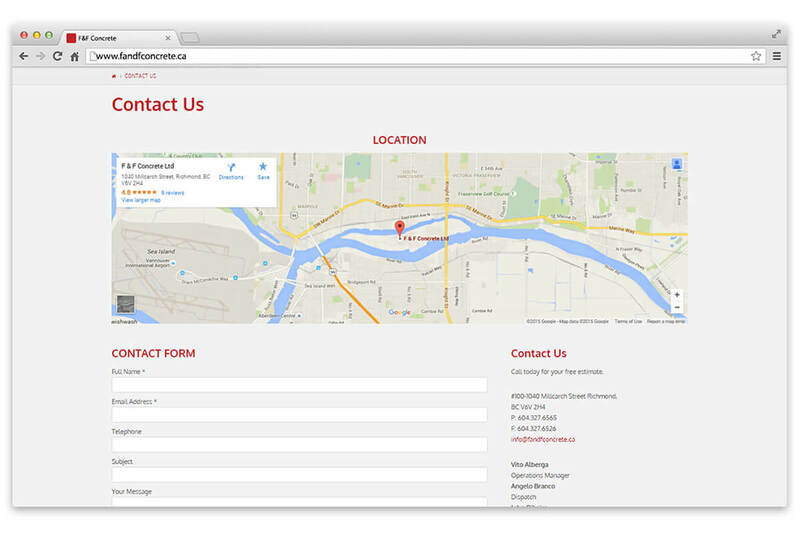 NetClimber was able to utilize the bold F&F Concrete brand color by using white space to help define the elements on the page. 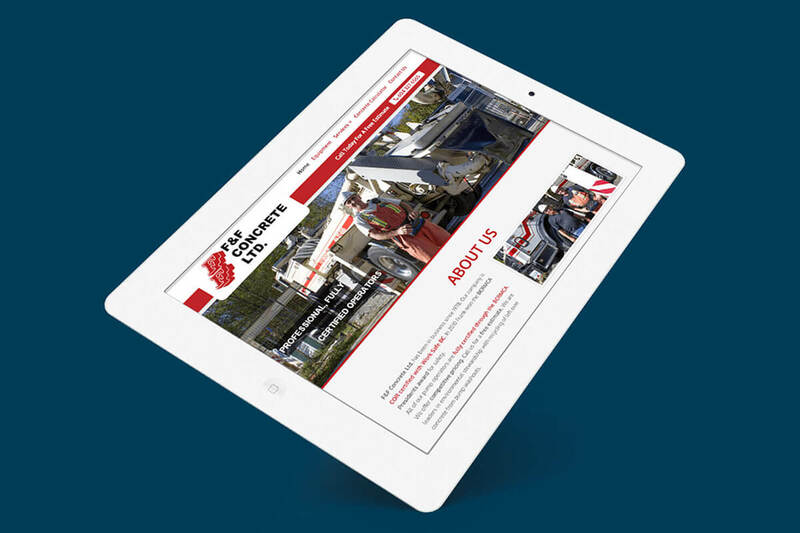 By combining white space with a full width banner image, bold headings, team photos, and colorful featured images, NetClimber was able to create a site to help compliment the F&F Concrete brand, as well and engage the viewers who visit the site.